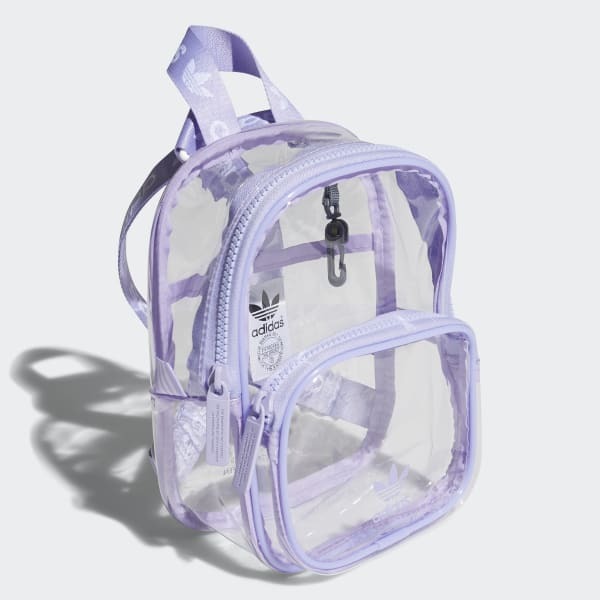 A mini backpack with a see-through design. Stash your essentials in Trefoil style. This mini backpack lets you go hands-free. It has room for your phone, keys and small essentials. 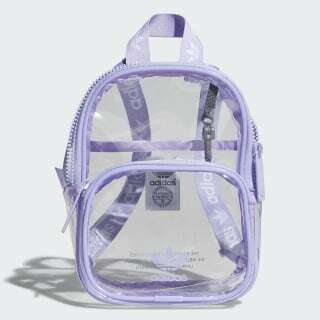 The chic transparent design makes it easy to find what you need. Dimensions: 6" x 4.5" x 8.5"